In 2013, I happened to be working on a project with local actor Aliki Chapple and Stella Duffy, just as the Fun Palaces campaign was beginning to be developed. I'll tell you what; 4 years on and I don't think I've been quite this happy about being wrong about something. There are now nearly 300 Fun Palaces all over the UK (and in a few other places) with makers empowering people to make change, with by and for their own communities. Fun Palaces have been a breath of fresh air in the UK cultural, political, and indeed, scientific landscape and we have a lot to thank them for as they move ideas and research forward. 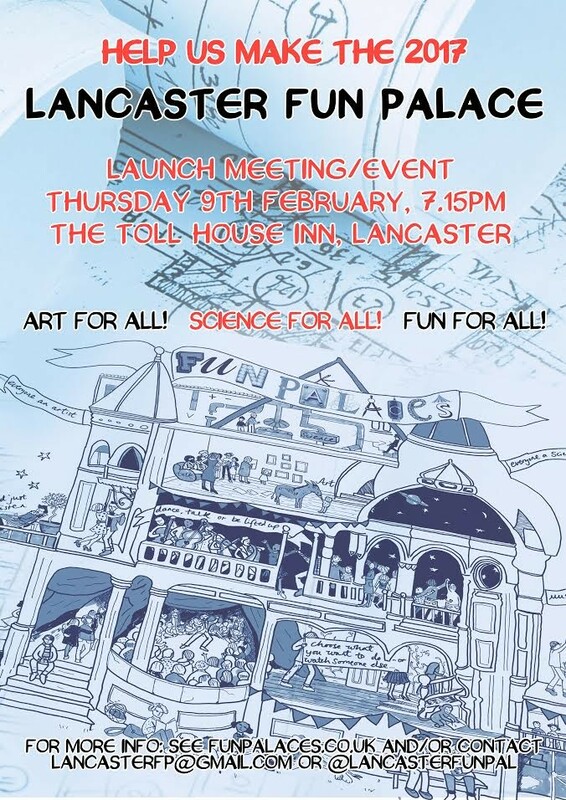 I just wanted to write this short post to extend an invitation to all of you to not be as silly as me, and get stuck in with making Lancaster's 2017 Fun Palace. Our local organising committee will be having its launch meeting this Thursday 9th February, and you can read all about the story so far in this blog post from our local makers.